It comes with extreme pleasure to make the following post. Decades after my days as an aspiring young guitarist, cutting my teeth with the like of Strikers, Focus models, the 100 and 600 series, Baretta’s and Pacer series (and probably a few more), I am now “Officially” a Kramer Guitars USA Artist. I just received the word today, and speaking of words, I find it difficult to convey what this means to me. I played Kramer guitars for 2 reasons. My lifelong hero Eddie Van Halen played them, and well, forget about reason 2. Go back to reason 1. I am beyond proud to be part of, and recognized in the Kramer family. It kind of feels like a full circle road trip for me. 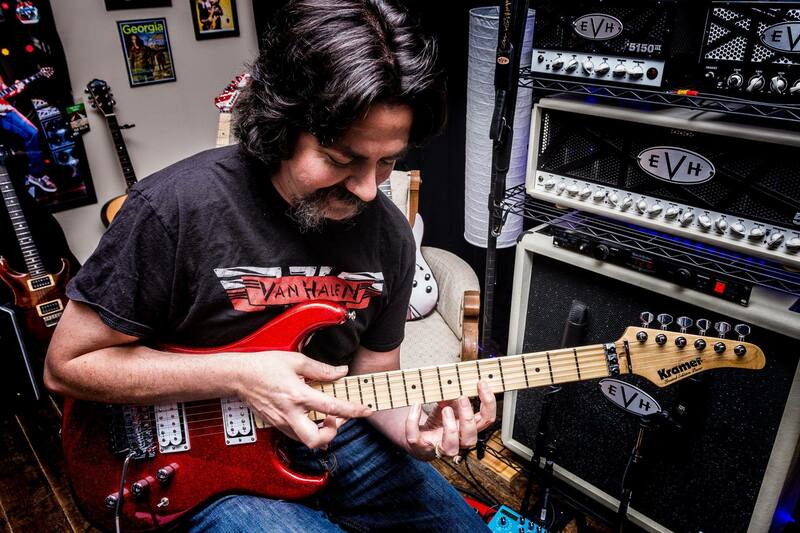 I will still continue to proudly promote and endorse (as an artist) the fine products Eddie manufactures through the EVH Gear brand including guitars, amps & accessories, as well as his effects pedals via Jim Dunlop. Nothing changes, rather we are adding to history of EVH being part of my life in many facets. You will see a new segment rolling out on my show in the distant future entitled “Kramer Korner” featuring insider information, new products and very special guests. I am quite happily enjoying a couple recently received new Kramer guitars, putting them through their paces, including the 2015 Vintage Pacer Deluxe, and the Assault 220 Plus. You will most likely see some beautiful “The ’84” Series to make appearances as well. For now, I wish to thank my Facebook friends here for your support, my YouTube subscribers and followers on all social media for that matter, my very close friends, and last but not least, the most important, my Family. I could not do this without you. You helped me achieve this. And to Kramer Guitars, Thank You! I am beyond honoured, grateful and humbled. Now, let’s ROCK!